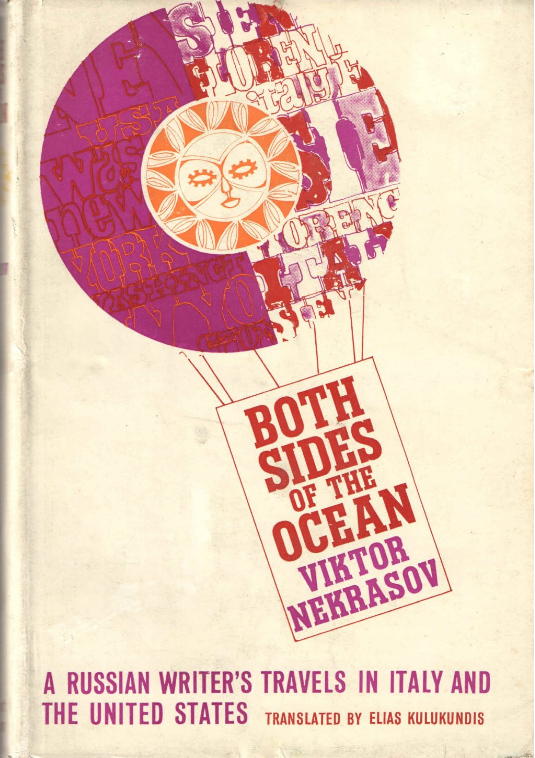 Elias Kulukundis has translated the book Both sides of the Ocean of the Soviet novelist Victor Nekrasov. 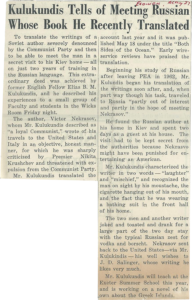 The book is the novelist’s account of his travels in America and Italy. 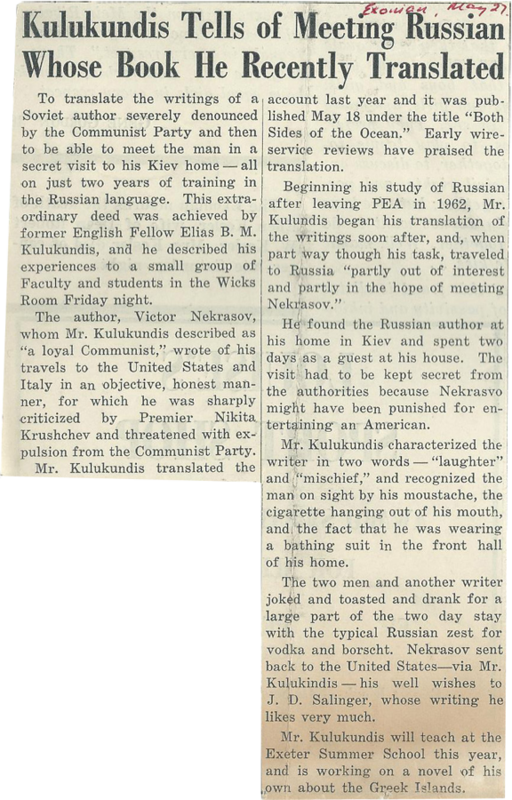 Elias Kulukundis went to the Soviet Union in 1963 to meet secretly with author Viktor Nekrasov, whose book he was translating and who was then under attack by Khrushchev for “bourgeois objectivism”.